Brian Wright’s interests in economics of commodity markets, innovation and intellectual property innovation date from his early experiences on his family’s sheep station near Wakool in the Riverina district of New South Wales, Australia. 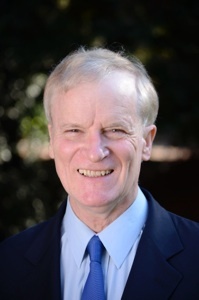 He received a Bachelor of Agricultural Economics (First Class honors) from the University of New England, Armidale, and won a Frank Knox Fellowship to Harvard University, where he received a Ph.D. in Economics. He then joined Yale University’s Economics Department and is now Professor of Agricultural and Resource Economics at the University of California, Berkeley, recently ranked top in its field in research and reputation by the United States National Research Council. His research interests include economics of markets for storable commodities, market stabilization, agricultural policy, industrial organization, public finance, invention incentives, intellectual property rights, the economics of research and development, and the economics of conservation and innovation of genetic resources. He has co-authored or co-edited several books, including Storage and Commodity Markets; Reforming Agricultural Commodity Policy; Saving Seeds: The Economics of Conserving Genetic Resources at the CGIAR Centers, and Accessing Biodiversity and Sharing the Benefits: Lessons from Implementing the Convention on Biodiversity. He has published extensively in the leading journals in Economics and Agricultural Economics and in Nature, Nature Biotechnology, The Handbook of Plant Biotechnology, and Crop Science.